I’ve plucked another prompt from the Nano Poblano tree: Write a list of at least 50 things that make you feel good. Friends–when they’re not being shitheads. Movies. I have a weakness for revenge, kung fu, samurai and war movies. Daisies and night-blooming jasmine. I wish you could smell this picture. 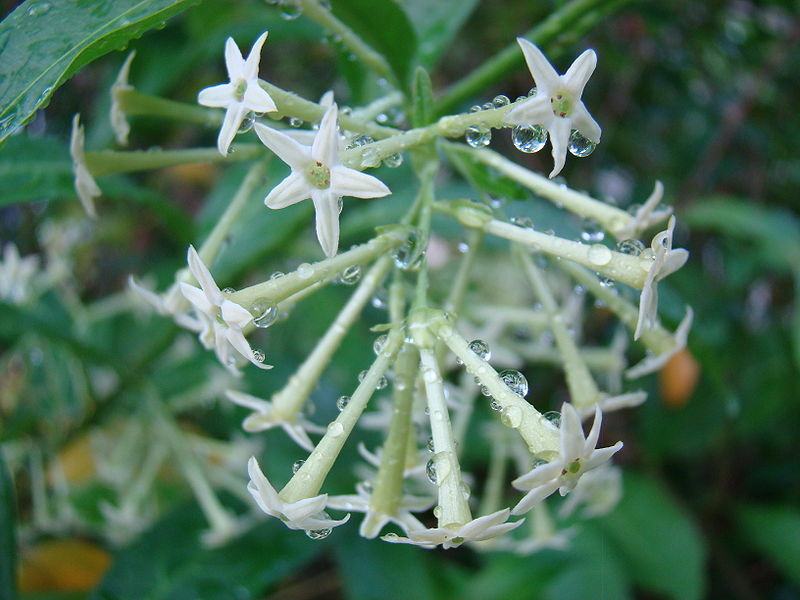 Nothing smells better than night-blooming jasmine. Laughing until I can’t catch my breath. Driving around with the windows down. The smell and colors of fall. Candles and bubble baths, at the same time, but not together. Learning something new and having it click. Heartfelt hugs from people I care about. Rainy weekend afternoons when I have nowhere I need to be. Snow days–not that I’ve had one since I left Boston. The quiet of early morning. Discovering a new favorite album/book/artwork/movie. Finding out that a band/writer/artist/filmmaker has another album/book/artwork/movie that I haven’t seen yet. Creating things like my little animals for sale on Redbubble. Selling one of my little animals on Redbubble. 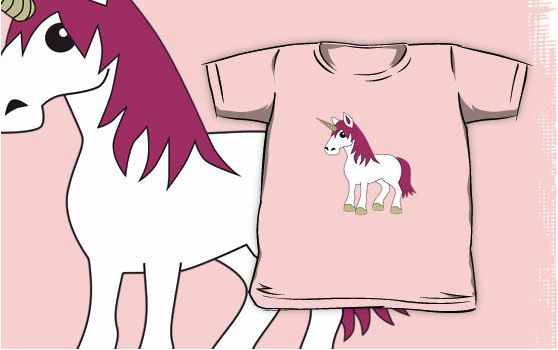 Soon, there will be a little girl (or boy) somewhere in the EU wearing a pink unicorn shirt that originated in my brain here in Los Angeles. That’s so rad. Not hearing a song in a long time and remembering all the words. Naming inanimate objects. My car is named Blue, my iPod is Mae and my iPhone is Beauregard Asstaste (long, not very interesting story). Hot chocolate with little marshmallows. Little marshmallows are a must. Having a sunroof on my car. I’ve never had one before and I use it all the time unless it’s raining. Remembering the answer to an obscure question and having people stare at you like you’re crazy because you knew that. Saying something funny that takes a minute to catch and then having people laugh at it a long time. Finding money in a coat pocket I haven’t worn since last fall. Getting packages in the mail even if I know what they are. Freshly baked bread, cookies and pie. Finally remembering where that thing is that you were looking for. Posted in lists, NaBloPoMo, things I like and tagged BlogHer, NaBloPoMo, NanoPoblano, things I like, YeahWrite. Bookmark the permalink. I’m with you on 50. Probably a few others, too, but 50 gets me all excited. Lol. Providing a little happiness via #3. #38 – luckily, it never rains in southern California. That sun roof is open all the time! #50 – you weren’t looking for some droids, were you? Forgive my silliness, it would be near the top of my list. Pretty much in agreement with everything you have on here, though, I’m contractually obligated to include The Queen and Little Prince, and I’d have to put down camping too. Yes, I believe you are contractually obligated to mention the queen and prince. I used to love camping, but now I hate it. I can’t stand sleeping in tents. I will totally go camping and sleep in a cabin, which is so not at all the point. Depends on the cabin, and where it is. Do I have the best timing or what? So… it’s raining here in Ventura County. How’s that rain going in Los Angeles? Excellent timing. I blame you for the rain. Wait… blame? That sound bad. Why blame? Rain is good for our drought conditions, right? I know…. I was lucky this morning to get on the road before there had been any accidents. But, it will take me twice as long to get home tonight because, well, dear god, there is stuff obscuring my windshield… the sky is falling… the aliens are attacking… we are doomed, DOOMed, DOOOOOOOOOMMMMEEED. A truer truth has never been spoken… er, um, written. There are things that go bump in the dark… those morons running into each other. Well, hopefully you don’t have to spend too much time avoiding the crappy drivers today. And, it’s So Cal, so we know the rain won’t be here long. True. And good luck to you out there as well. It’s gonna be a bumpy night. I gotta buy me something from your store. I buy my clothes in the children section, I’m petite. And I seriously like that pig. Who doesn’t love a pig? Yes! And the day I’ll write the post ’50 things that make me happy’, reading your blog will be one among those 50 things. I love snow. I wish we’d get more snow around here. Lovely. Since I know you have an abundance of both time and funds, why don’t you swing out here tomorrow – they’re predicting the first snow of the season. You can be my good luck charm for driving with the local asshats who will have no doubt forgotten since spring. On an unrelated note, if you haven’t experienced Bowling for Soup they’re kind of a hoot. The first snow of the year is always a driving nightmare. I think I’ve heard of Bowling for Soup. I’ll need a refresher. It’s kind of like “Weird Al” meets punk. “No Hablo Engles” is good. They had a few songs that made it mainstream, but their better stuff is actually the stuff that never makes it to the radio. You should be able to find a nice sampling on YouTube. Sounds familiar, like something I heard a billion years ago. I’ll check it. This post made me happy! I love your list and pretty much agree with every single things on it! Getting packages is always awesome, because they don’t send bills and rejections in packages! I want it to be my daily diet if I am rich enough. Me too. I could eat it every day. At least for a while anyway. Clean sheets and a clean house make me giddy !! Inside jokes are the best. Great list, I really do not miss the snow. I had way to much in Illinois. I don’t really miss the snow either, but I do miss snow days. Snow days were the best as a child. Unicorns must be popular overseas… someone in London will be sipping hot tea from a Rainbow Donkey mug. This post reminded me, I’ll now soon have a handful of cute little animal stickers! Nice list…and now I totally need to order a unicorn shirt for myself (they make them for adults, right??). Our lists are relatively similar. I’m sorry I missed this post. Wednesday was the day that wouldn’t end, but it was capped off with a tiny kitten, so it ended well. Now if I could just break free of this kitten exhaustion she has caused, I’d feel a lot better. Perhaps a nap is in order. You know I’m BEAT if I want a nap before 9:15 on a Saturday morning! A nap is definitely in order always. Yay for kittens! I refrained, but I’m not making any promises for tonight lasting past 7:00 PM. LOL. I actually don’t own a goldfish. I used to, but I never had very good luck with keeping them alive. I do better with free-roaming animals like cats and dogs.